Energy industry experts gathered at the Low-Carbon Scotland Conference, 23 May 2017. We were proud to be platinum partner of the event, held at the impressive Our Dynamic Earth venue in Edinburgh. Scotland is a key area for EDF Energy in terms of both investment and growth, and many of our Scottish Procurement customers also attended. A major focus of the event was to discuss how the public sector can reduce carbon emissions. Customers MD Béatrice Bigois was one of the speakers at the conference which heard that Scotland has set world-leading climate change targets to reduce emissions by at least 42% by 2020, and 80% by 2050. She shared with the audience her views on how EDF Energy is helping to drive the transition to a zero-carbon economy. Béatrice explained how EDF Energy is investing in its innovation capabilities, for example in EDF Energy Services, our innovation platform - Blue Lab and Business Development. “We believe these capabilities will be critical to meet our customers’ expectations and to drive at pace the transition to a low-carbon economy,” she said. We are continually developing energy efficiency technologies to help our business customers monitor their usage and lower their consumption and carbon emissions. View our latest products and services here. 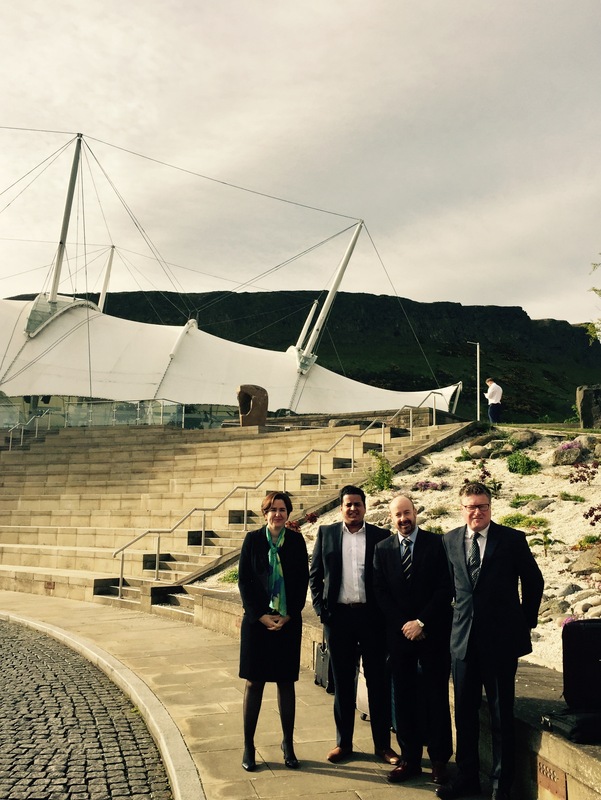 At the conference venue in Edinburgh: from left, Béatrice Bigois, Redwan Choudhury, Chris Regan and Mark Loveday.